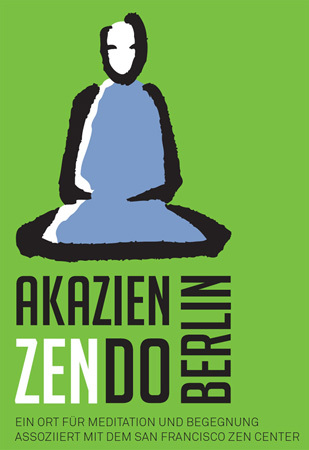 In August, Bernd Bender wrote from Berlin about the new Zen group in Berlin he has established with Ursula Richard. The group has a web site and a Facebook page. Summer is at its height in Berlin and everything feels very alive. Akazienzendo (Acacia Zendo), in the heart of the city, is also buzzing. We sit Tuesday and Thursday mornings and evenings, and more and more people started to join us. The space is on the 5th floor of an industrial building and is often flooded with light. Maybe because of this our gatherings there also feel light and joyful. If you don�t live in Berlin but will come here: Please know you are always welcome. We just finished our program for the fall. It includes the regular sitting schedule, one day sittings each month, a week long retreat in October, an introductory class, and the first offering for the LGBTetc community. I have attached the flyer – available in German only.